Our next show is in Pomona, CA on April 4, 5, & 6. Stamp & Scrapbook Expo will be teaching five “Latest & Greatest” workshops at this show: Card Making, Cool Tools, Planners, Scrapbooking, and Stamping. 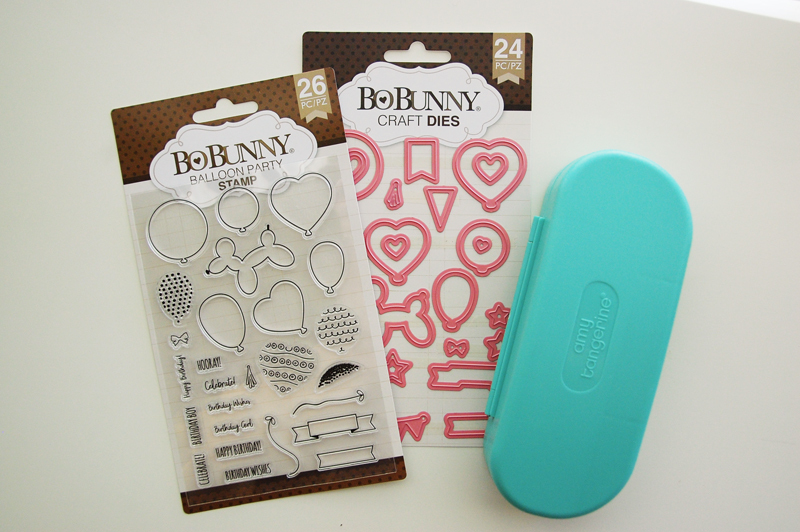 Today I am going to be creating with new products from our Cool Tools & Stamping classes: the Amy Tangerine Watercolor Set from Cool Tools and the BoBunny Balloon Party Stamps and Dies from Stamping. I started by stamping some of the images on watercolor paper. Then I colored the images using the watercolor set. I cut out the images with the coordinating dies. 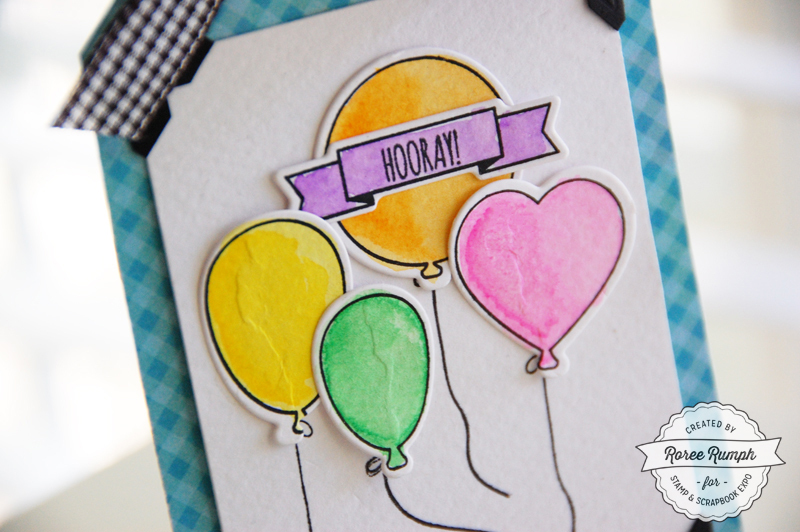 Then I added the die cut balloons and sentiment banner to a tag to finish. These were both such fun sets to work with and I know I will be reaching for both over and over again! 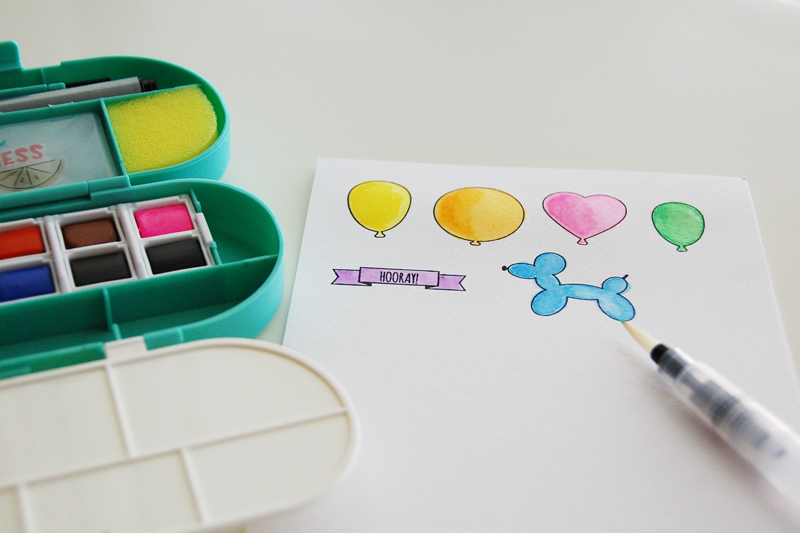 These Latest & Greatest: Cool Tools and Stamping workshops featuring the Amy Tangerine Watercolor Set from Cool Tools and the BoBunny Balloon Party Stamps and Dies will also be taught at our upcoming shows in Milwaukee, Orlando, and Puyallup. We would love to see you at one of these shows! This entry was posted in Card Making, General Crafts, Latest & Greatest, Make It Monday, Manufacturers, New Releases, Paper Crafts, Stamp & Scrapbook Expo, Stamping and tagged Amy Tangerine, balloon party, BoBunny, cool tools, Latest & Greatest, Roree Rumph, Stamp & Scrapbook Expo, Stamping, stamps and dies, watercolor set. These are adorable. Bo Bunny is my favorite line. Did I miss this in Irving? These are really cute! Don’t see much in the way of BoBunny in the Milwaukee area. I always take both of these classes, can’t wait for the Puyallup Expo! Now I’m more excited for the Orlando show!! 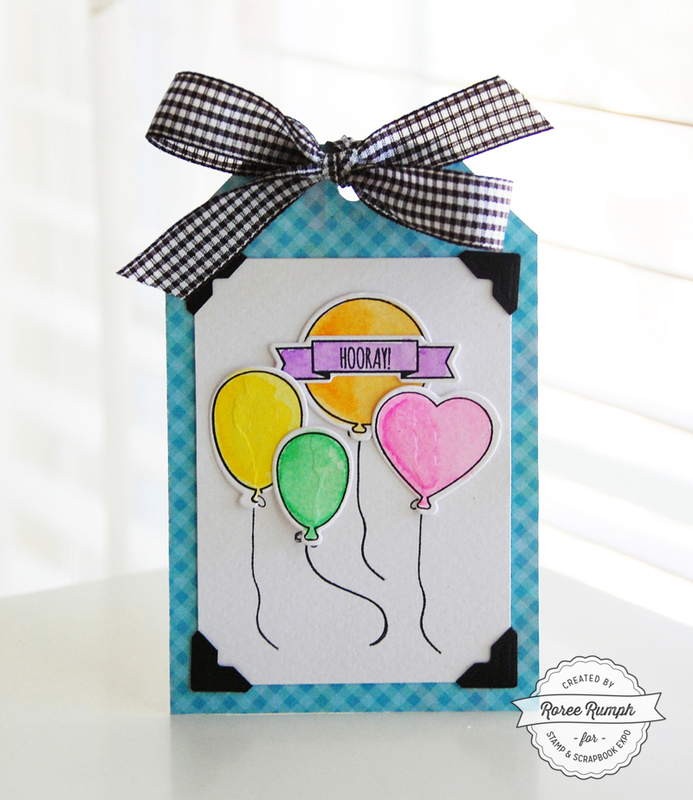 Roree – Love the balloon card. I didn’t see this in the Milwaukee list of classes, will the set.stamps & dies be available for shoppers? Thanks! You can get the stamp & die set as part of your take-home kit in Stamp & Scrapbook Expo’s Latest & Greatest: Stamping workshop. I am not aware if they will be carried in an exhibitor’s booth. Sorry. Can’t wait for the Pomona show. I’ve taken your classes before. Always learn something new. Very cute! I like this. So will the latest and greatest classes in MN in June feature different products? These look really fun! Love all the Latest and Greatest classes. Looking forward to Marlborough MA.